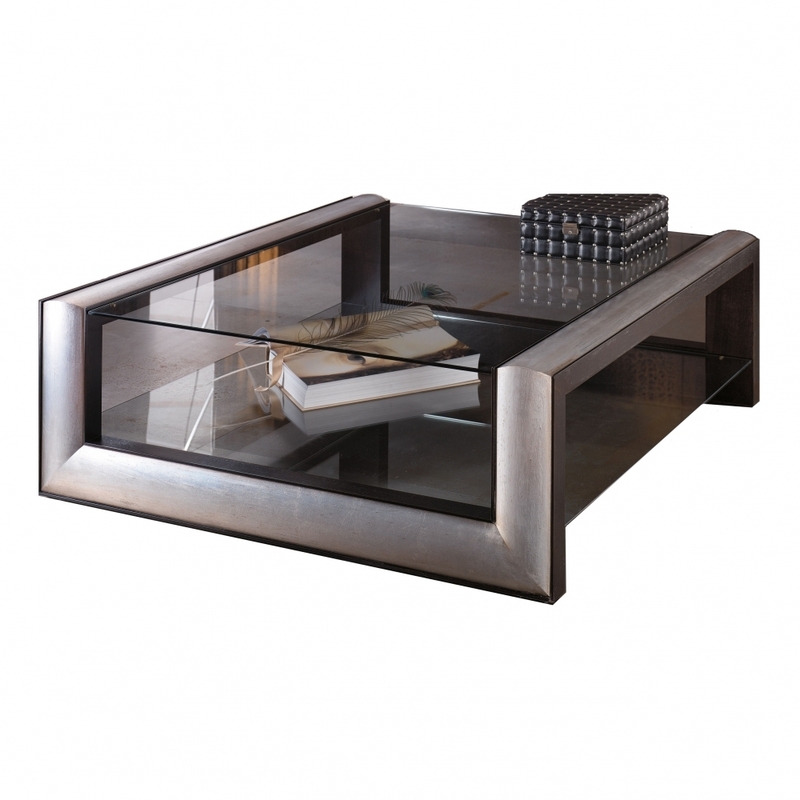 Classical coffee table with two layers of glass surface. The beautiful frame is priced here for wood but is available in leaf and leather finishes. Priced for wood frame - please contact us for pricing for leather frame.